Mould and mildew thrive in warm, damp environments, particularly bathrooms, as there are plenty of places for mold spores to hide. 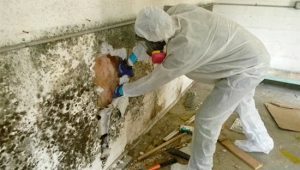 Mould can cause serious health problems, especially for children, older people and those with asthma, so it’s important to take preventative measures. 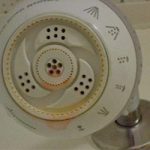 This article looks at how to prevent bathroom mould and mildew. Mould and mildew thrive in damp and humid environments, which means they can quickly grow and spread in places like bathrooms and shower rooms. In addition to the unpleasant smell and unsightly stains, mould and mildew can cause health problems, including breathing problems, skin reactions, and chest infections are particularly at risk of health problems caused by mold, so it’s important to take preventative action. 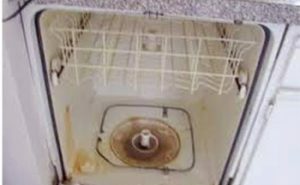 Mould and mildew can spread quickly, so you need to clean affected areas thoroughly. Shower curtains, bath sealant, and areas behind the toilet, sink or bath are all common places for mold to grow. 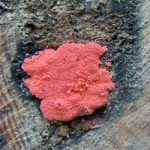 Mildew can often be wiped away with a damp cloth and some household cleaner, but you may need to use a special mold-removing solution or fungicide to kill mould and prevent it from returning. Keep the bathroom well-ventilated for a couple of hours after cleaning, as this will help to get rid of any remaining mold spores. Leaking pipes and dripping taps are common causes of mould growth, as the excess moisture creates the right conditions for fungi to grow. Sometimes, leaks can go unnoticed, especially when pipes are located in cupboards or underneath the floorboards. 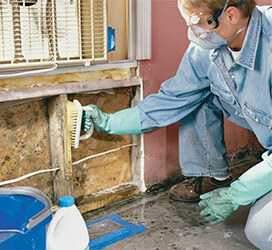 The problem may only be discovered once the leak has caused significant damage, such as rotten wood. 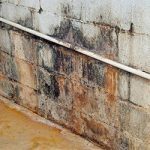 If you have unexplained mould growth that seems to have no obvious cause, consider calling in a professional to check the plumbing and pipework. Reduce moisture in the air and on surfaces by drying out the room after taking a bath or shower. Mop up any water on the floor and wipe down the bath, shower curtain or cubicle to remove water and prevent mildew. Avoid leaving wet towels, clothes, and sponges on the side of the bath, as these provide a breeding ground for mould spores. Opening the window or using a fan will also help to dry the room out. Keeping the bathroom pink mold well ventilated is an important factor in preventing mould growth. If possible, open the windows for at least half an hour every day to help keep the room dry and to get rid of mould spores. For bathrooms with no windows, extractor fans and air conditioners can help to provide ventilation. 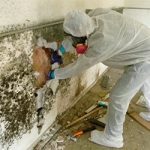 Mould and mildew can cause serious health problems for some people, but there are ways to prevent mould growth. Fixing leaks or dripping taps, keeping the room dry and ensuring adequate ventilation will all help to prevent mildew and mould growth. 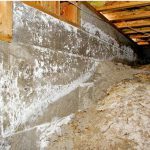 Related Posts of "How to Prevent Bathroom Mould and Mildew"